Opened by the Birmingham and Derby Junction Railway in 1839, Kingsbury station sat on what was then their Robert Stevenson-engineered line from Derby and from 1909 also the junction of the Midland Railway, who had absorbed the BDJR in 1844, direct line to Water Orton which cut-out the need to travel to Whitacre en-route to Birmingham. 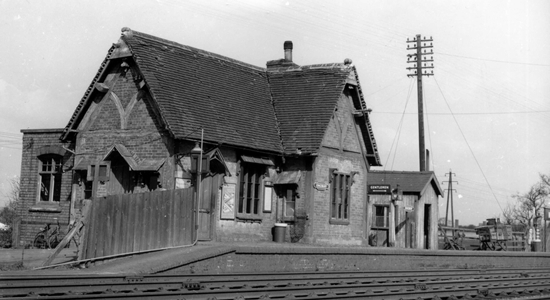 Although today both lines still exist (albeit the Whitacre - Kingsbury stretch largely for freight only), the station met its demise in 1965 along with many other stations in the region following the scathing report by Dr Beeching's Committee on the future of Britain's railways. Above we see the up-platofrm building in 1962 looking somewhat delapidated (photo: Roger Shenton). 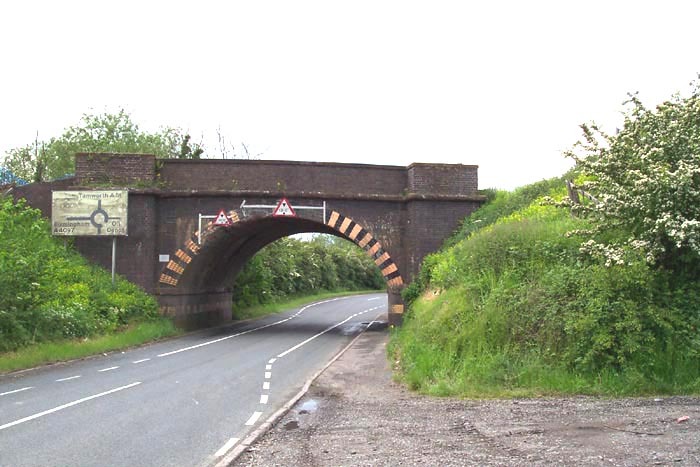 Above-left is the bridge on Coventry Road with the entrance to the station's coal yard immediately before it to the right (be warned, the driveway is next to a Ministry Of Defence driveway to a rifle range) and to the left of the bridge is the splitting of the line into the Whitacre and Water Orton lines. Above-right is the aforementioned driveway to the station site from Coventry Road. 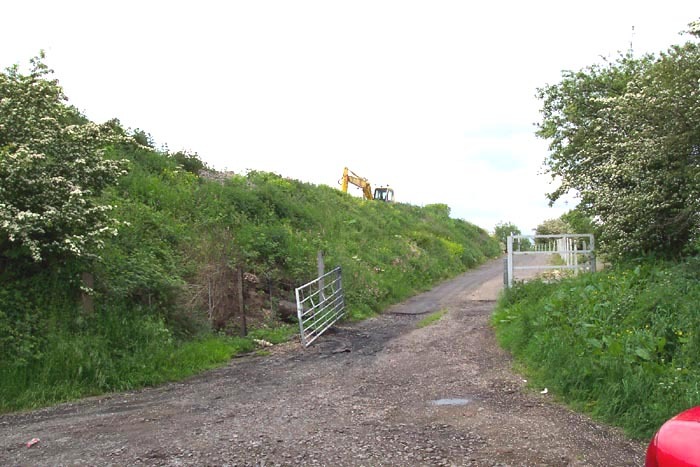 Above-right we have reached the top of the driveway and are looking directly at the site of the station in the direction of Wilnecote station on the way to Derby. There is little, if anything, to indicate that a station once stood at the site. Above-left and right we are looking in the direction of Derby with the Piccadilly Way road overbridge ahead. As can be seen, there are not any obvious clues as to this spot's past. 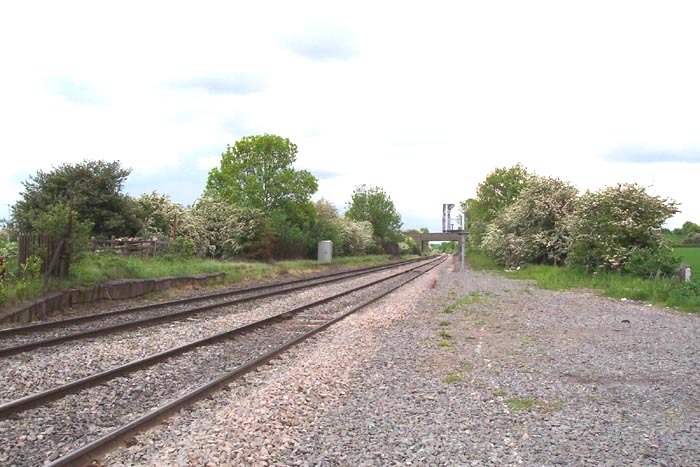 Above-right we can see Kingsbury Junction where the line forks to the right to Water Orton and to the left to Whitacre: the junction being just beyond the Coventry Road bridge ahead. This was not the most inspiring of sites to visit and I would only recommend it to the to a die-hard railway historian.